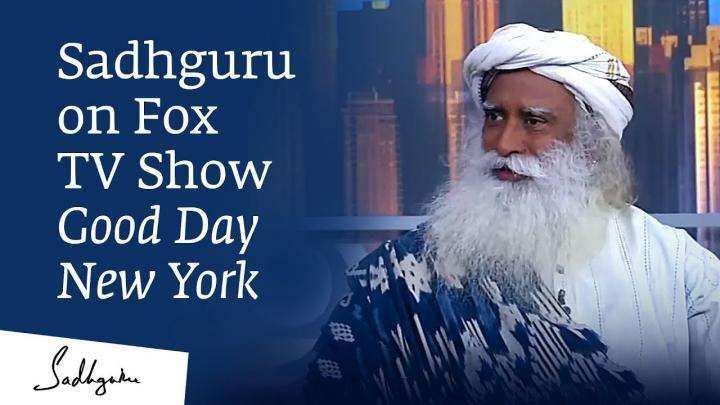 What do I want my hour with the most watched mystic, yogi and visionary in the history of YouTube — whose book Inner Engineering, A Yogi’s Guide To Joy hit the New York Times bestseller list on release — to achieve? If we seek inner advancement, we will gain control over our intellect and it can be used to conquer adversities and obstacles. Right from ancient times, in most parts of the world, when anyone spoke anything other than the existing organized religion of that time, the first thing people said was, “Kill”. I never said you must cut the cord. It is just that unfortunately, your motherly cord is too limited right now. Expand it a little bit. Make it connect to every piece of life on this planet rather than just to a handful. I first saw a calculator at the age of thirteen. I was deeply offended, wondering why on earth we were being tortured in math class when all that the teacher needed to do was to consult a machine for the answer! Should I have a child? Today, casually having a child is quite irresponsible because through people think there are many problems in the world, essentially, the fundamental problem is too many human beings on the planet. Emotion is a kind of thought… Thought is dry. Emotion is juicy, but still a thought. 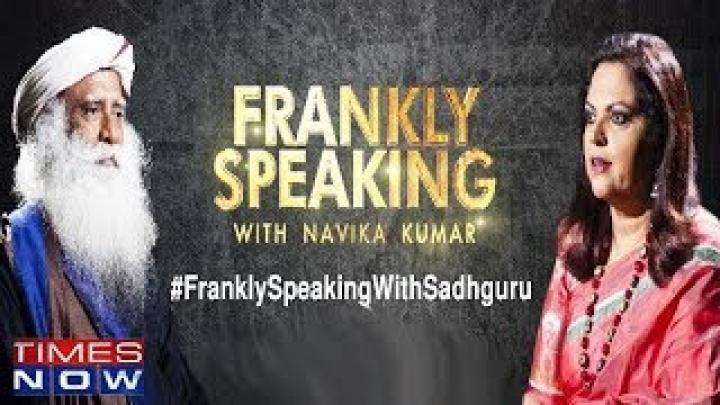 Yoga guru Baba Ramdev and spiritual guru and founder of Isha Foundation, Sadhguru Jaggi Vasudev, on Monday endorsed the packaging of yoga as a consumer product for the masses and said that the practice must be universal. For the Indian economy to advance, he stressed, some drastic policy decisions like the GST need to be taken even though they may be painful. Going onstage after Prime Minister Narendra Modi’s keynote address is hard. 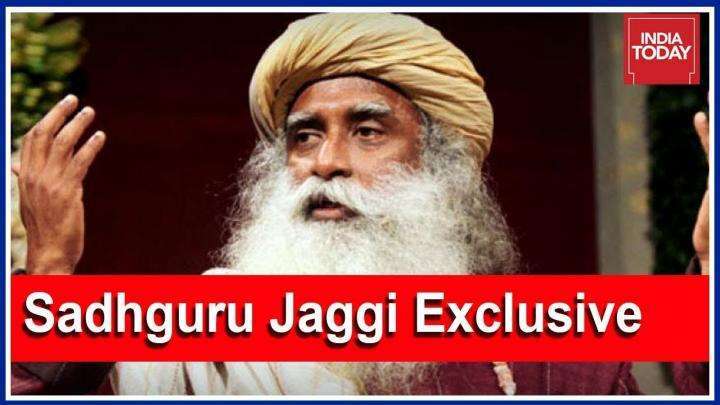 But not if you are Sadhguru Jaggi Vasudev. 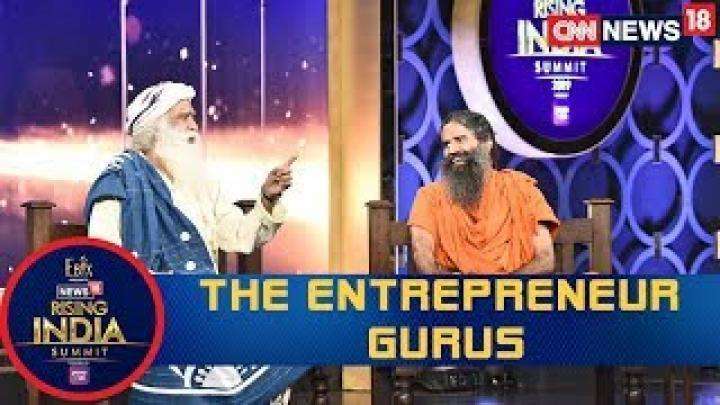 A much sought-after speaker, Vasudev was at his best, peppering his 20-minute speech on February 23 at the fifth edition of the ET Global Business Summit with humour and wisdom. 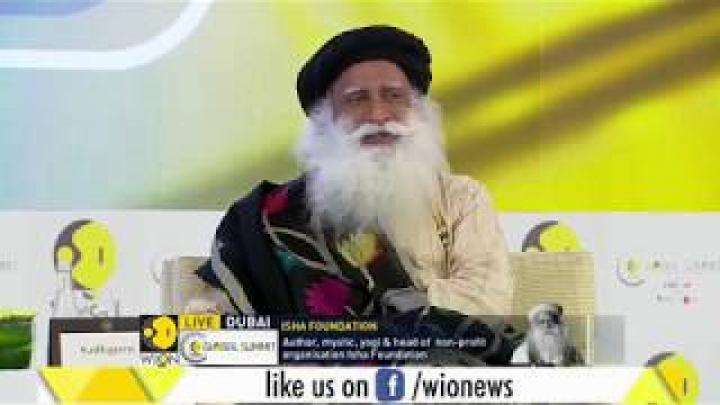 Sadhguru, founder of Isha Foundation, while speaking to the audience at WION's Global Summit, said that practical situations need to be handled in different ways when human conflicts occur. 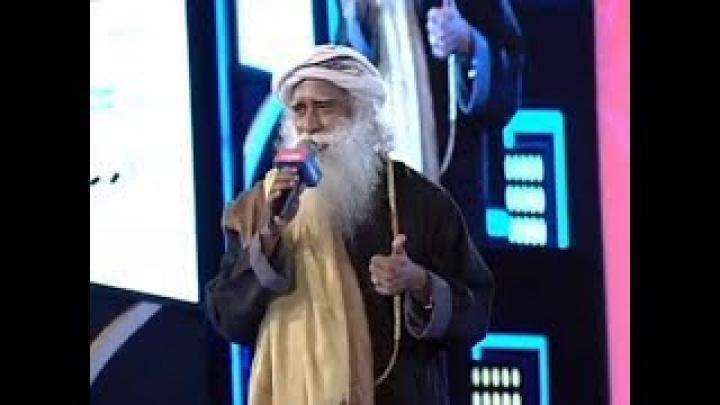 Memory is not intelligence... Having more information does not make one more intelligent,” spiritual leader Sadhguru Jaggi Vasudev, founder of Isha Foundation, told a rapt audience at the Bennett University campus in Greater Noida. Since you are an ascetic who takes a lot of interest in nation building let me start by asking about the separation of Church and State. Is the ‘Nation State’ concept in the Indian context somewhat different from Western concept? Writes our friend and journalist Mark Manuel about two Godmen on a motorbike: “You have to see this video (on YouTube). It’s just 1.54 minutes. But it delivers one of life’s simplest lessons. Begging in India was a part of the spiritual tradition. One aspect of this was you did not select your food, you begged and ate whatever people gave you. It was considered a great privilege when a person on the spiritual path stood in front of your house and asked for food, and for you to offer food to him. Recently, Kangana Ranaut took off for an intense yoga camp in Coimbatore by Sadhguru which included eight days of silence and long hours of meditation. Bollywood star Kangana Ranaut recently took off for an intense eight-day yoga camp in Coimbatore, which included eight days of silence and long hours of meditation. Recently, Kangana Ranaut took off for an intense eight-day yoga camp in Coimbatore, which included eight days of silence and long hours of meditation. Isha Education Charitable Trust has got accreditation from Tamil Nadu Open University to start a community college in Coimbatore to provide skill-based training. Isha Education Charitable Trust, Vellingiri has got accreditation from Tamil Nadu Open University (TNOU) to start a community college and conduct 14 courses. The President of India Ram Nath Kovind will be the Chief Guest at the 25th year Mahashivratri celebrations at Isha Yoga Centre in Coimbatore on March 4. President Ram Nath Kovind would be the chief guest at the 25th Maha Shivratri celebrations at Isha Yoga Centre in Coimbatore on March 4. 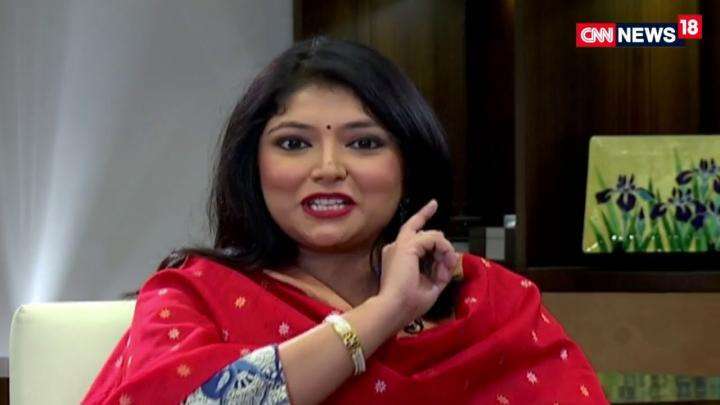 India's external affairs ministry said JeM terrorists, trainers, and senior commanders were eliminated in a pre-emptive strike, which it said was intelligence-led and non-military. Nations are always made on sameness. But ours is a nation which has defied the fundamental definition of nation making. Every 50 kilometers, people speak differently, look different, dress different. Isha Foundation Friday contributed Rs 50 lakh for the welfare of the families of CRPF personnel who lost their lives in the Pulwama terror attack on February 14. 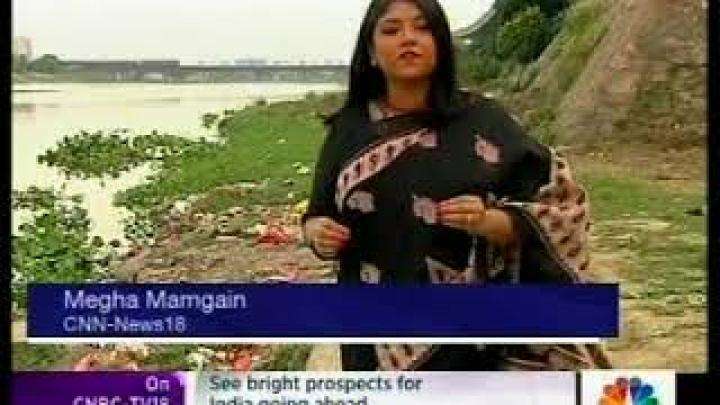 "It is upon the foundation of service and sacrifice of the brave soldiers that all our activities and achievements rest,"
In honor of the 150th anniversary of Mahatma Gandhi’s birth, the foundation is considering the importance of natural farming and food, eco-friendly model housing, and environmentally friendly textiles. 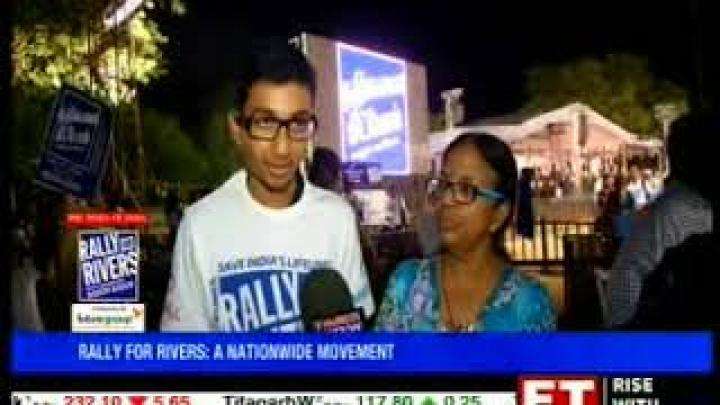 “We’re here to show we can do the same things a little more gently and peacefully,” Sadhguru said. Can clothes made with time, love and detail heal the wearer? Sabysachi Mukherjee seems to think so. He wasn't a believer until 2016 when he was invited to spiritual leader Sadhguru Jaggi Vasudev's Mahashivratri celebration at the headquarters of his organisation, Isha Foundation, on the outskirts of Coimbatore. 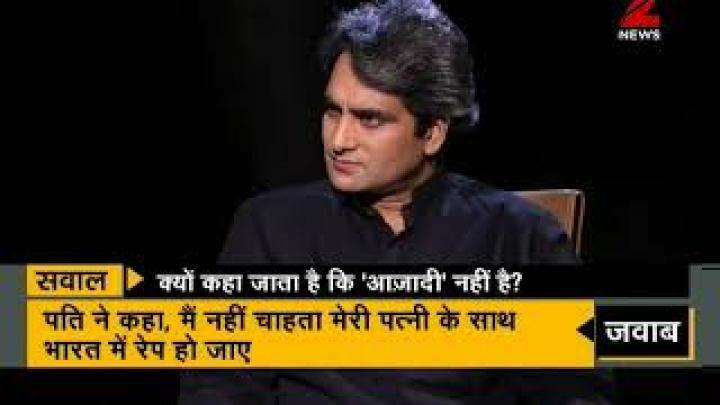 He remembers telling Sadhguru that he is a cynic. “It’s estimated by 2025, that 98 percent of the fiber on the planet will be synthetic fiber,” Indian mystic, yogi and New York Times best-selling author Sadhguru Jaggi Vasudev told The Hollywood Reporter backstage as New York Fashion Week ended on a surprising philosophical note Wednesday with a group designer show called Fashion for Peace. 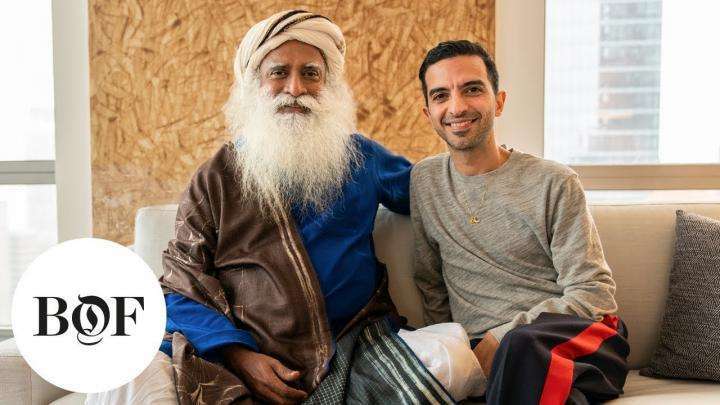 Norma Kamali, Sabyasachi Mukherjee, Mara Hoffman and Mimi Prober are coming together with Sadhguru and the Isha Foundation for Fashion for Peace. The Feb. 13 group presentation will play up conscious design while supporting artisans and designers through their work. A nine-day training in natural farming, organised by the Isha Agro Movement got under way at the SRM Medical College campus near here on Saturday. Isha Agro Movement is all set to train more than 3,000 farmers in natural farming. The nine-day programme will be held at SRM Medical College in Trichy from February 2 to 10. 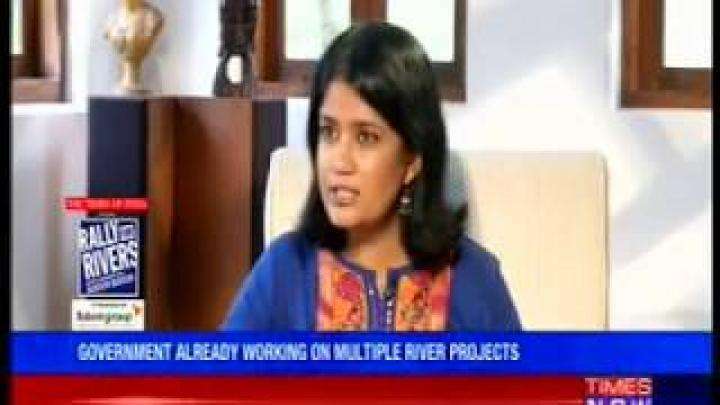 The Isha Foundation led by Sadhguru Jaggi Vasudev has come forward to conserve forest areas coming under Cauvery basin to revitalise the river. Jaggi Vasudev called on Chief Minister H D Kumaraswamy in Bengaluru on Friday, placed the proposal before him and sought the state government’s cooperation. NTT DATA donated funds for the purchase of learning aids, sports equipment, art and craft items and science lab items to Isha Vidhya Rural Schools in the districts of Coimbatore and Tuticorin. Isha Rural Health Clinic will organize, a free Blood Test Camp between 8 April 2019 and 10 April 2019 from 8:30 a.m. to 6:00 p.m. at Isha Rural Health Clinic, Kullapanayakanur, Salem. Setting aside their law enforcement duties for a month, the Mumbai Police force waged a battle on a different front: fighting body fat to improve their fitness and agility. 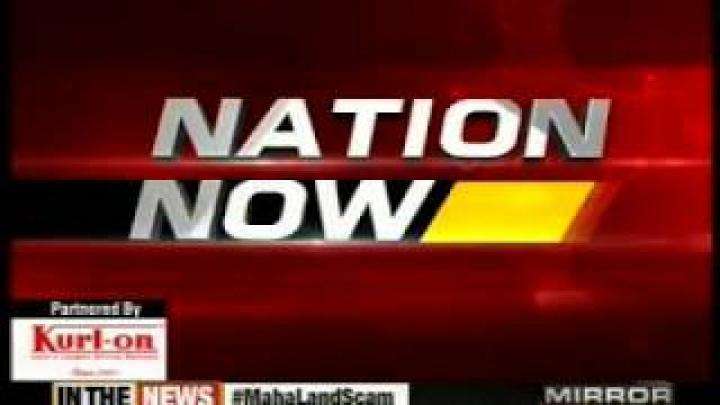 The Maharashtra cabinet approved the pilot project for revitalization of Waghari River in Yavatmal on 5 March 2019. The Agriculture Department has earmarked Rs 415 crore for project implementation. The President of India, Shri. Ram Nath Kovind, joined lakhs of people in celebrating Mahashivaratri at Isha Yoga Center this year. Isha celebrated the 25th anniversary of Mahashivaratri in the presence of Adiyogi with a nightlong cultural extravaganza that began at 6 p.m. on 4th March and ended at 6 a.m. on the 5th . 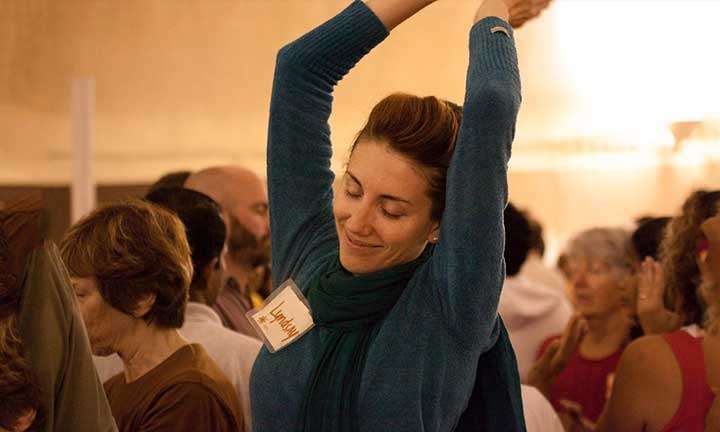 Southern Sacred Walks, an offering by Isha Sacred Walks, is a once-in-a-lifetime opportunity to embark on a journey to some of the most stunning temples in South India. 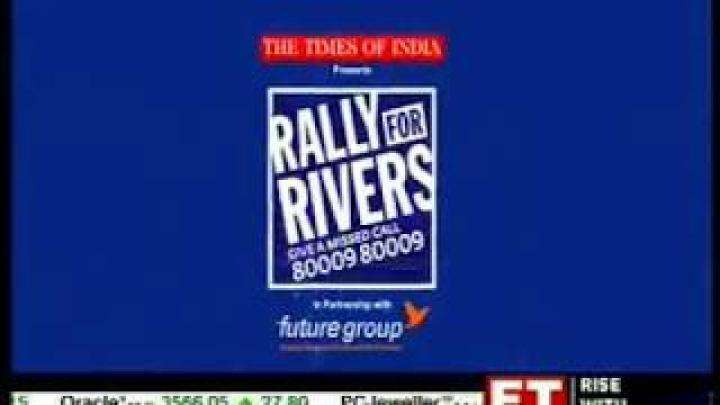 Rally for Rivers (RfR), the national level river revitalization movement that was launched by Sadhguru, Founder, Isha Foundation, in September 2017 was awarded the 2018 National Water Award in the category of Best Educative/Mass Awareness Efforts. IAS officers from across the nation participated in a 4- day Inner Engineering Leadership Program at the Isha Yoga Center in Coimbatore. 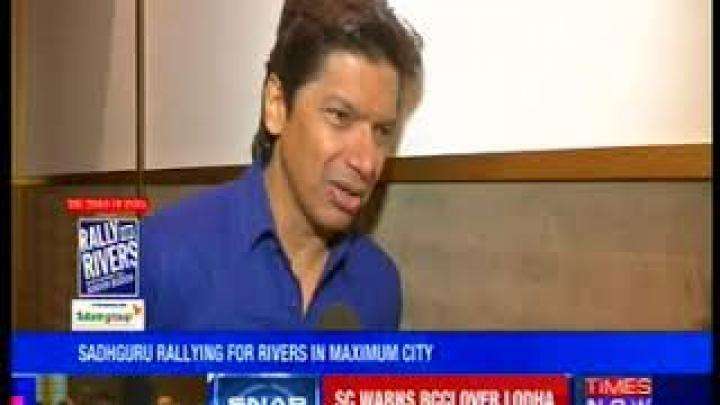 The program was held between 21st and 25th January 2019. In all, 44 officers participated in the program. Isha Agro Movement will organize a nine-day training program on natural farming from 2 February to 10 February 2019 at S.R.M. Medical College, Tiruchy. The training will be conducted by natural farming exponent Padma Shri Shri. Subhash Palekar. Isha Vidhya Matriculation Higher Secondary School, Erode, celebrated their 12th Sports Day on 11 January 2019. Students from Lower Kindergarten to class 9 participated in various sports with great enthusiasm. Isha Volunteers in Jaipur announced the opening of a center for Isha activities in the historic city of Jaipur today. The space, known as “Isha Place” was opened to the public at 6 p.m. at Kaivalya Mandir in Manasarovar, Jaipur. 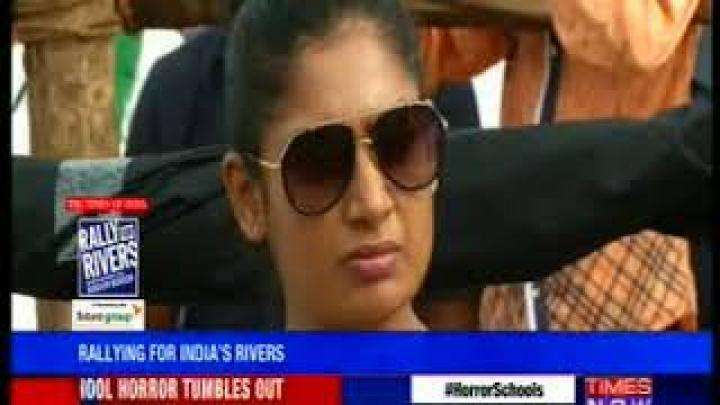 Isha Foundation recently announced the formation of a National Board of eminent persons to steer the various initiatives under the Rally for Rivers movement. 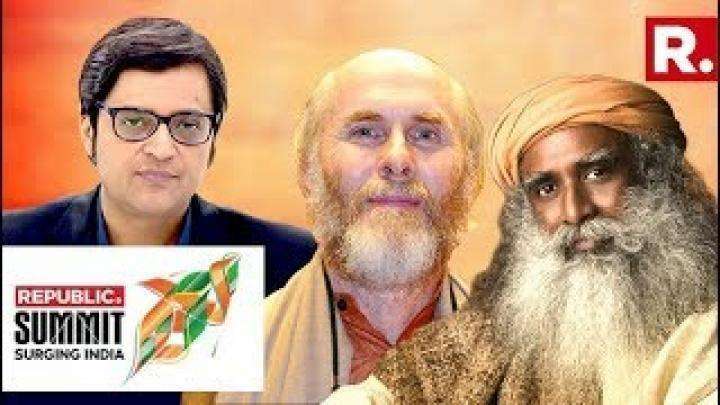 : Sadhguru, Founder of Isha Foundation, and Gregoire Borst, Professor of Developmental Psychology and Neuroscience participated in “A Dialogue on Peace, Neuroplasticity & Education” at the UNESCO Headquarters in Paris on 2 October 2018.